Four intrepid members of staff at Xylem Dewatering Solutions in Quenington, near Cirencester, recently raised £350 for the Cotswold Canal Trust in a sponsored walk from Cerney Wick Lock to Frampton Mansell. The walk was organised by John Chaffey, Production Engineer at the Company, who is a member of the Trust together with his work colleague John Florence. They also work as restoration volunteers with the Cotswold Canals Trust ‘Thursday Evening Group’ currently clearing a length of canal channel at Kempsford. Following the Thames & Severn Way, the four completed the route in 6.5 hours and were delayed only by a pit stop at The Wild Duck at Ewen! "We had a great time," said John. "We were very inspired by both the history and beauty along the route, and we could see the potential that a restored canal could do for the area." 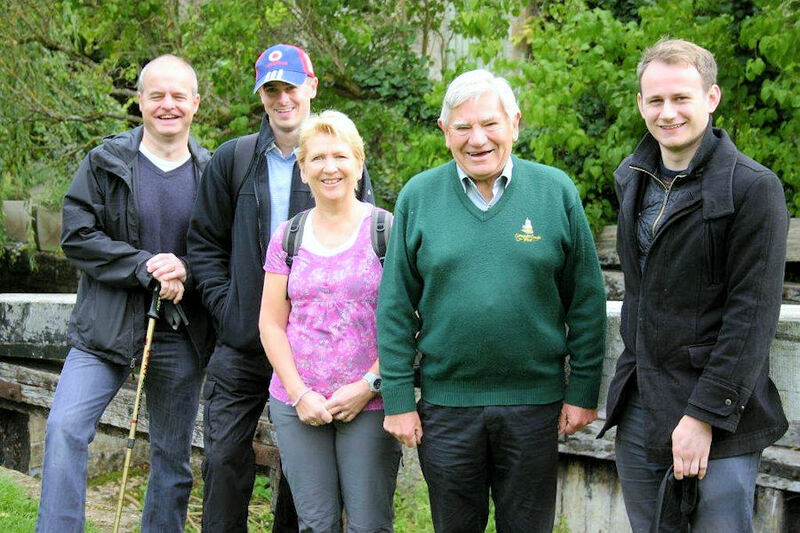 Cotswold Canals Trust Company Secretary Jack Telling saw the group off on their walk. Jack commented… "We are grateful to the team at Xylem and all those who fundraise for us. It is especially good to have the support of local companies. These efforts make a big difference to the Trust funding at a time when restoration is moving up several gears, making more and more demands on our finances." Discussions are under way which will shortly see several initiatives resulting from a partnership between Xylem and Cotswold Canals Trust. Watch this space! Click on the icon below to find out more about Xylem.